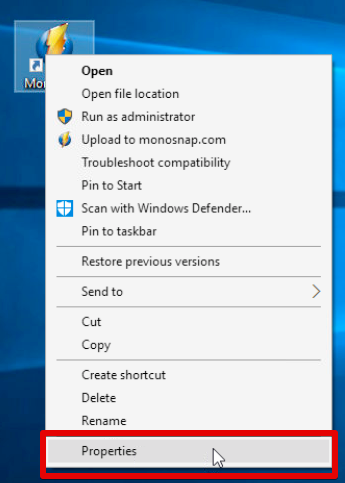 Click the right mouse button on the Monosnap icon to open context menu. 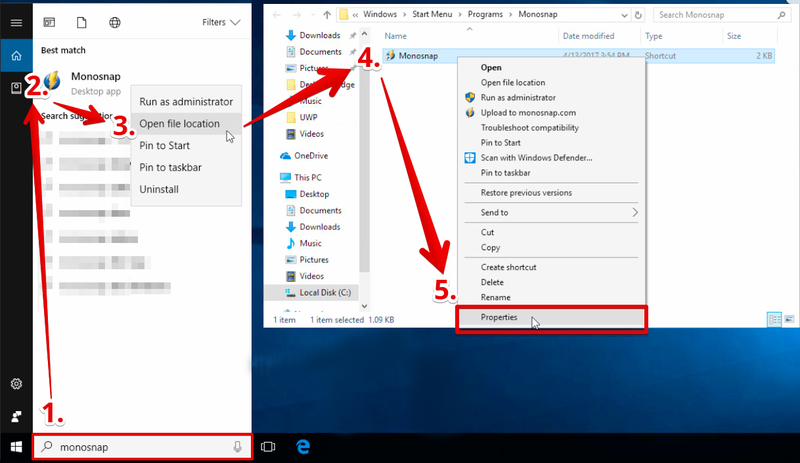 In the context menu, select Properties as in the image below. 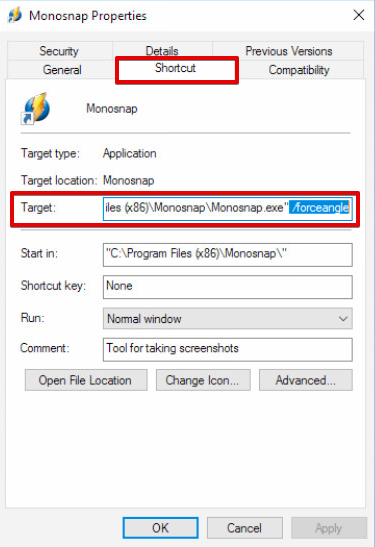 Or use second way: Type Monosnap in the search bar > Select Monosnap file > Open file location. In the Properties window, open Shortcut tab. In the Target field, type “ /forceangle” without quotes. Don’t forget about the space before /forceangle.